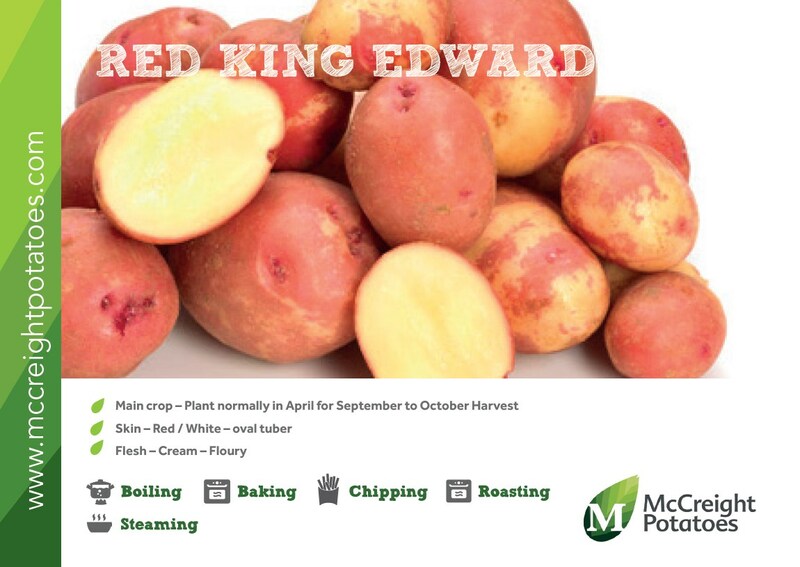 A very rare heritage variety dating from around 1916 when it was discovered growing as a variant of King Edward. 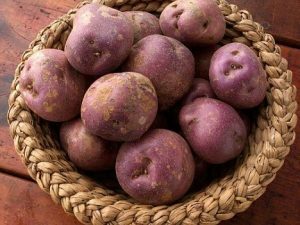 Late main-crop variety producing moderate yields. 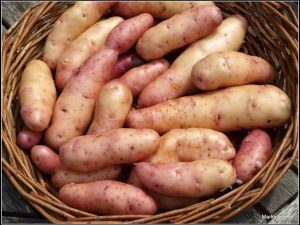 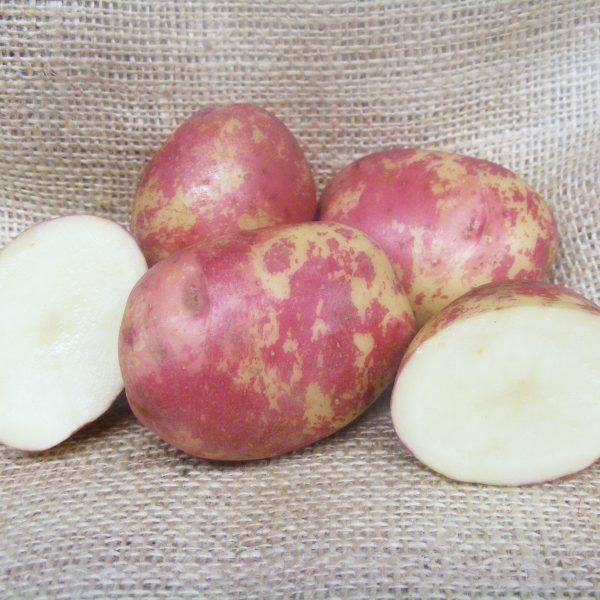 Oval in shape the tubers of Red King Edward are medium to large in size with red or purplish-red skin occasionally flushed white. 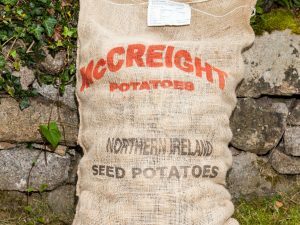 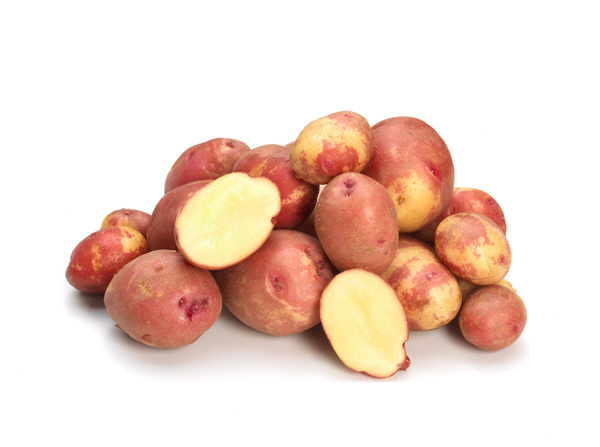 The flesh is creamy or off-white in colour with an extremely floury texture and a superb potato flavour, so tasty that many people prefer it to the original King Edward variety.